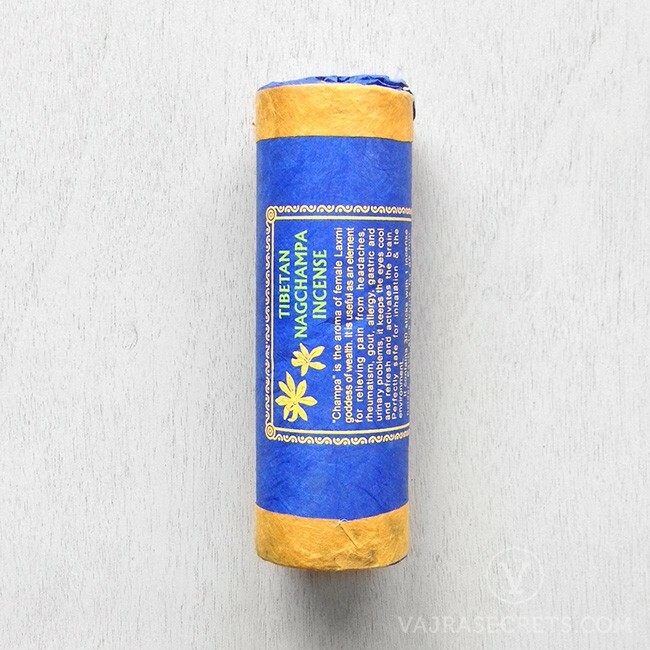 Tibetan Nagchampa incense sticks, traditionally handrolled from natural herbs, oils and other ingredients. Primarily comprising of sandalwood and frangipani, it is prized for its cosmetic and medicinal benefits, and is primarily used for meditation and spiritual pursuits. Nagchampa is a traditional Indian fragrance primarily comprising of sandalwood and frangipani, which is extracted from the champa (or plumeria) flower. 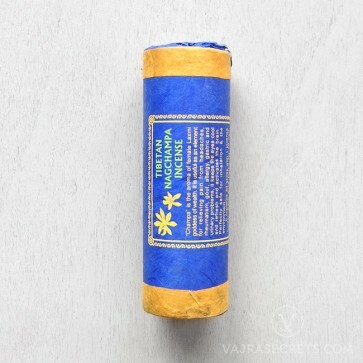 Prized for its cosmetic and medicinal benefits, Nagchampa incense is primarily used for meditation. Its heavy earthy scent which later changes its character to a cooler sweeter frangrance helps create a spiritual, sacred space in your home.